$15 for general admission and a limited number of free student tickets are available with a valid student ID. We ask everyone to be as generous as possible when deciding how much to pay. The actual cost per ticket is $25. All ticket levels have the same access. If you are able to pay at one of our higher levels, your contribution will help us ensure that the speaker series is accessible to all members of our community and help advance the work of Project Peace East Bay. "We will have to repent in this generation not merely for the hateful words and actions of the bad people, but for the appalling silence of the good people. Human progress never rolls in on wheels of inevitability; it comes through the tireless efforts of [people] willing to be co-workers with God, and without this hard work, time itself becomes an ally of the forces of social stagnation." Recent events have proven that these words of Dr. Martin Luther King Jr. are just as appropriate and challenging in 2016 as they were when he spoke them some 50 years ago. What does it mean to hold power and privilege in our lives? 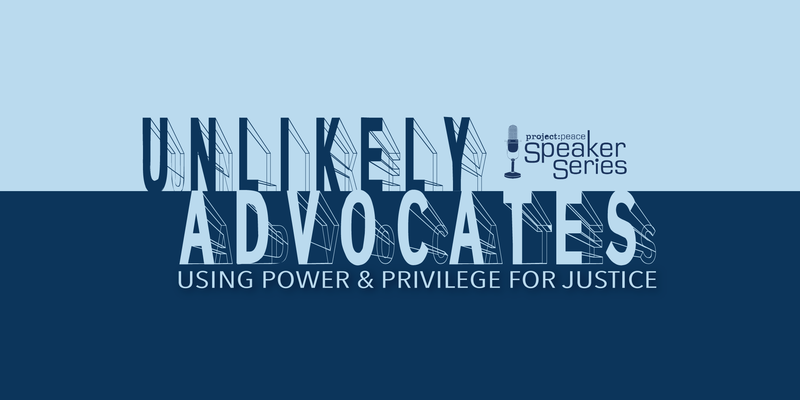 How are people of faith called to leverage power and privilege to lead in advocating for the common good? Join us for the evening as Dr. Brenda Salter McNeil uses the story of Esther, in the Biblical book that bears her name, to introduce a model that uses power and privilege for justice and to challenge us all to examine if we, too, may have been born "for such a time as this." Dr. Brenda Salter McNeil is an Associate Professor of Reconciliation Studies in the School of Theology at Seattle Pacific University, where she also directs the Reconciliation Studies Minor program. Dr. Salter McNeil is also an author, speaker and thought leader with over 25 years of ministry experience in the field of racial, ethnic and gender reconciliation. Her mission is to inspire and equip young Christian leaders to practice reconciliation around the world and to build communities that partner with God to bring relational healing and social wholeness. Prior to coming to Seattle Pacific University, Dr. Salter McNeil spearheaded a faith-based speaking, training and consulting firm specializing in biblical reconciliation with Christian colleges, churches and organizations. She was also on staff with InterVarsity Christian Fellowship for 14 years, where she served as a Multiethnic Ministries Specialist in Southern California and Chicago, Illinois. These experiences were foundational to the development of the principles, concepts and strategies that guide her practice of reconciliation from a Christian perspective. Today, Dr. Salter McNeil is recognized internationally as one of the foremost leaders of reconciliation and was featured as one of the 50 most influential women to watch by Christianity Today in 2012. Originally from Trenton, New Jersey, Brenda is now an ordained pastor in the Evangelical Covenant Church and is currently serving as a teaching pastor at Quest Covenant Church in Seattle, in addition to her position at SPU. She is married to Dr. J. Derek McNeil, who is the senior Vice President of Academic Affairs at The Seattle School of Theology and Psychology. They are the proud parents of two children; a son, Omari, and a daughter, Mia.